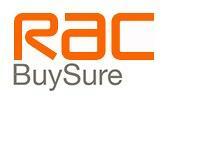 Mike Brewer explains the benefits of RAC BuySure. Wirral Small Cars was established in 2001 and is an RAC Approved Dealer, all cars are prepared to RAC approved standards and supplied with RAC national warranty, RAC breakdown cover, RAC accident management and HPI certificate. Wirral Small Cars has a growing reputation for customer care along with customer loyalty. All cars are personally sourced by owners Paul and Roz and with the help of their team aim to provide a friendly old fashioned local garage service coupled with the professionalism of a larger dealer. Have you got a Wirral Small Cars story or want new articles before they get published? Subscribe to our Awesome Newsletter and you could receive our articles first or have your story published! Follow Paul & Roz’s diary for the very latest news, features and Information about Wirral Small Cars. See what you say about us!